The Micro Market is a revolutionary refreshment hub that’s tailored to suit the workplace. Each design is based upon an extensive survey to identify the client’s specific needs and requirements before carrying out 3D render mock-ups to compare a range of ideas. The Micro Market is intended for businesses in remote locations with over 80 employees, and is centralised around the wellbeing of the workforce with a diverse product line. The aim is to provide a 24/7 solution for office refreshments, a hub for staff to sit together, get to know each other and relax. 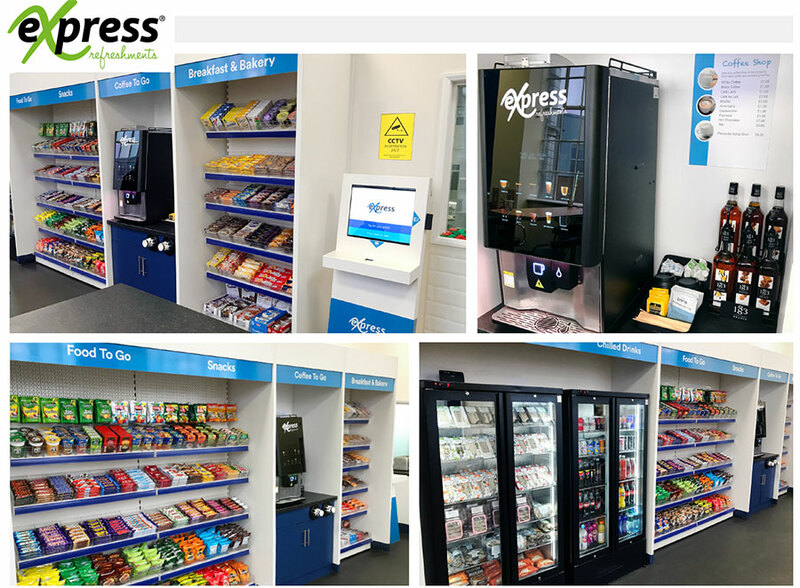 Many products simply cannot be enjoyed from traditional vending and items for the working day and beyond include fresh sandwiches, wraps, salads, fruit, healthy snacks, indulgent treats and fresh bean to cup coffee. All items are available around the clock in a design that’s fondly reminiscent of the supermarket, and are paid for using an advanced cashless, self-service terminal. The system was designed by Coinadrink, meaning it is available through Cover Group members where required. The Micro Market is the revolution in workplace refreshments to which many businesses are already on board with, and makes a valued difference to productivity and engagement amongst the workforce.